The Innovation Management Theory Evolution Map was developed to guide corporate innovation managers to take note of existing fundamental innovation management theories, how it evolved through the past few decades and which theories are best suited to solve specific corporate innovation management challenges. Innovation management theory cannot be bought as a tangible product at the local supermarket. Academic theory is a virtual construct that attempts to explain phenomena that have been observed in the real world. Theory gets published as articles in academic journals for academics to study, where a substantial portion of an article is reserved for research methodology and data analytics, which is mostly of little value for industry executives who need to implement the findings. As an intermediate solution, academics publish books based on the theories they developed, but are usually +300 pages and time consuming for executives to grasp the finer details. The real danger exists that corporate executives (and consultants) only read the heading and abstract of an article and then champion an inspirational campaign on a new theory, which of course then becomes a hype (Gartner’s Hype Curve) within a corporation without the systematic specific causal considerations of a theory’s limitations, specific applications, or exceptions etc. (Adner et al., 2009) (Carlile and Christensen, 2005) (Christensen, 2006). Further evidence from this is the latest publications from Prof Christensen (Christensen et al., 2015) and Prof Chesbrough (West et al., 2014) (Chesbrough, 2012) to re-affirm the specific use of their theories due to the exceptional wide-spread hype and the use of disruptive innovation and open innovation theories respectively. The wrongful use of a theory (out of the context it was meant for) usually delivers disastrous results and therefore gives innovation management theory a bad reputation. A simplified example was when Prof KA Ericsson mentioned a result that it takes 10,000 hours (10 years) to master a new skill from his research in a Harvard Business Review article (Ericsson et al., 2007). The general public picked it up from a book with the title “Outliers” the following year in 2008, and generalized it further to the 10,000 hours rule (as told by Josh Kaufman at TEDx CSU in 2013). The missing conditional specification was that the original research was only applicable to top-tier professional athletes and musicians. Therefore, the purpose of this article is to share the Innovation Management Theory Evolution Map that was developed to guide corporate innovation managers to take note of existing fundamental innovation management theories, how it evolved through the past few decades and which theories are best suited to develop specific corporate innovation management capabilities. 1990s: Balanced push-pull innovation systems that integrated and aligned both efforts. 2000s: Scholars started to investigate innovation ecosystems that contains self-driven corporate innovation systems and interactions with its surround environment. 2010s: Strong influence from digital transformation and digital platforms that will further integrate current innovation management theory into open digital innovation ecosystems. The Innovation Management Theory Evolution Map (Figure 5) could confirm these research theory trends as well, and with the additional capability to identify innovation management research theory paradigms. Corporate (in-firm) Competencies and Capabilities. Diffusion of Innovation (Strategy Execution). Innovation as a System (or Engine). Open Digital Innovation Platform Ecosystems. These topics will be discussed in more detail in the following paragraphs. Innovation Intelligence & Insight Development –> Value Innovation. Intellectual Property (IP) Management –> Diffusion and Open Innovation. Culture and Network Development –> Capabilities, System and Open Innovation. Innovation Cluster Development –> Open Innovation Ecosystems. Innovation Governance –> System Innovation. For this article, this theoretical concept of innovation competencies and capabilities started with Core Competency theory (Prahalad and Hamel, 1990), which then expanded with Dynamic Capabilities theory (Teece and Pisano, 1994). 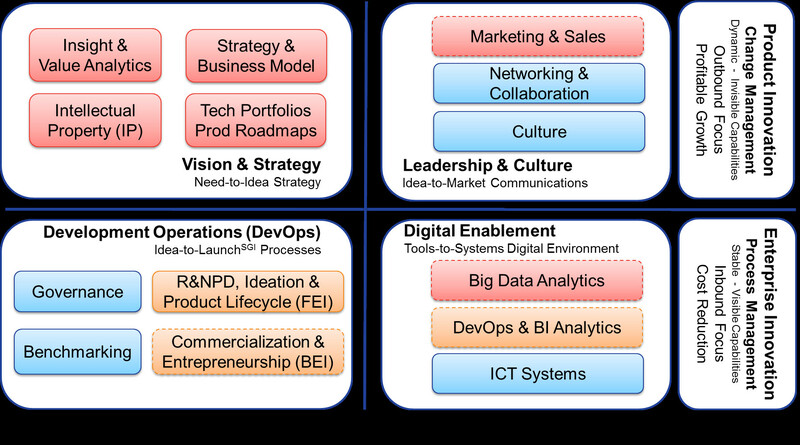 These competencies and capabilities theories were then packaged into innovationframeworks, two examples are the Total Innovation Management (TIM) (Xu et al., 2007) (Xu et al., 2002) and the BvS Innovation (Von Stamm, 2003) Frameworks, with various variations that followed, especially from industry consulting research firms. The latest known innovation management framework consolidated and integrated these industry consulting firms’ empirical research data, which was published in 2015 as the Capabilities-Driven Innovation Management framework (Bouwer, 2015), see Figure 1. Figure 1: Capabilities-Driven Innovation Management Framework. With these innovation capabilities frameworks that defines the target where corporations should be with innovation management competencies and capabilities, corporate innovation implementation frameworks became necessary to guide and assist corporations with the actual implementation of these frameworks. and a few of these frameworks were published by innovation management consulting companies during 2010s. At the same time, many consulting companies also identified critical success factors that are required with the implementation of an innovation management framework. An example is the ENGAGE(TM) innovation management implementation framework, that is also based on success factors, from the company “innovation.support” (innovation.support). There are many other innovation management implementation consulting firms, each with their own specific areas of expertise. A few examples are: Innosight, BCG, PwC, Kalypso, BMGI, Stage-Gate, etc. With the implementation of innovation management frameworks, it was necessary to measure and obtain metrics on the progress with innovation management implementation programs. Thus, many researchers then started to develop innovation maturity & competitiveness models. A sample of consulting firms that developed innovation maturity models are Planview (planview.com), Landgate (innovation.landgate.wa.gov.au), Imaginatik (imaginatik.com), Sopheon (sopheon.com) etc. But, innovation models then required digital metrics and measurement tools, which were researched and developed by consulting firms, academics and government organizations such as: BD Cohnsulting (Sorin, 2013), Kellogg Center for Research and Innovation (Sawhney et al., 2006), Innovation 360 (innovation360group.com) or IMP³rove European Innovation Management Academy (improve-innovation.eu). This is the application of innovation management theory to strategically plan the launch, delivery and growth of new technologies in the market. For this article, theories in this paradigm started with a couple of matrixes to assist corporations how to push new technology into the market, examples are the Ansoff Matrix (1957), BCG Matrix (1970), GE-McKinsey Matrix (1980). This changed with the introduction of the more holistic approach with Five Completive Forces and Competitive Advantage theories from Prof Michael Porter (Porter, 1979). With the new holistic approach in the 1980s, new theories were developed to create market-pull, an example is positioning theory (Ries and Trout, 1981) (Adner et al., 2014). The result was that corporations positioned themselves (and their products) within a market segment and developed the capabilities to obtain a competitive advantage with offerings that met functional performance, reliable quality, and low prices (due to efficiencies of scale) to service a supply-economy. Market position was fiercely defended for decades and success was mostly due to high barriers of entry for new industry. As marketing departments battled it out with extreme competitive promotion campaigns, new theories evolved that focused on increasing the competitive value of products or services offerings for their customers. This marked the beginning of the push-pull integrated innovation systems in the 1990s. Examples of theories that evolved from within this paradigm is Value Innovation (Kim and Mauborgne, 1997) which was then followed-up with Blue Ocean Strategy (Kim and Mauborgne, 2004), “jobs-to-be-done” (JTBD) (Christensen et al., 2016b) (Christensen et al., 2005) (Ulwick and Osterwalder, 2016) (Wunker et al., 2016) (Bettencourt and Ulwick, 2008) and Outcome-Driven Innovation (Ulwick, 2005). Note #2: A good example how two theories such as “value innovation” (aka Blue Ocean Strategy) and “Outcome-Driven Innovation” (ODI) may appear to be the same on the surface, but are actually very different once one start to delve into the details. Both these theories help corporations to identify markets with no competition (similar to Disruptive Innovation), but ODI is more applicable to identify new adjacent market opportunities while Blue Ocean Strategy is more suited to identify opportunities within a corporations’ existing core market. It may be very interesting to research how these theories can be integrated? Theories within this paradigm enabled the establishment of a “Product & Marketing Management” profession in the 1990s, being supported by various consulting companies such as the 280 Group, AIPMM, Spice Catalyst or Pragmatic Marketing. Note #3: This article suggests that the “jobs-to-be-done” (JTBD) theory is not only applicable to external consumers and customers, but also to internal corporate employees who also need to get a job done. The JTBD theory can also help to improve internal capabilities, where capabilities are considered to be a combination of knowledge, skills, resources, and processes. The focus of the theories within this paradigm focused on the possible outcomes (risk or success) a new technology may experience when introduced to the market, depending on certain causal conditions. This paradigm for innovation management theory started with the publication of Prof Everett Rogers titled Diffusion of Innovations (Rogers, 1962) which was supported by Frank Bass’ mathematical theories in 1969. Directly related to this, Geoffrey Moore identified the Chasm (Moore, 1991) that exists before the majority of early adopters will start to adopt a new technology. Adjacent to these theories, Dr Richard Foster described the technology S-curve (Foster, 1986) and added more insight on this phenomenon. The Dynamic model of Product and Process Innovation (Utterback and Abernathy, 1975) identified the importance of process innovation and also the Dominant Design theory, which was then followed-up by the publication of Managing New Product and Process Development (Clark and Wheelwright, 1993) that proposed that Innovation Funnel theory as well. The latest known theory which integrates theories within this paradigm very well is Disruptive Innovation theory (Christensen et al., 2015) (Christensen, 1997) (Bower and Christensen, 1995). Peter Drucker stated in the 1980s already that Innovation is a systematic practice (Drucker, 1985), with more recent theories supporting the paradigm that innovation is a system (Xu et al., 2007). Most recently, the Boston Consulting Group (BCG) published a few articles that supported the theory of innovation as a system as a required success factor for leading innovative corporations (Taylor and Wagner, 2014). A system is a virtual construct, an organized unit of individual capabilities that interacts constantly with each other to produce a core competency that results in a competitive advantage not obtainable by any single capability alone. Similar to the concept of a mechanism where individual parts constantly interact to provide a mechanical advantage. This article defines innovation as a system where multidisciplinary capabilities (knowledge, skills, and resources) are integrated to deliver new insights as unique solutions, which customers or consumers will value in such a way that the company will generate brand recognition in the market, wealth for employees and growth for stakeholders. A possible conceptual presentation of how Innovation as a System my look like, can be seen in Figure 2. Even though the capabilities are represented as separate block in some order, it should continuously interact with each other. Figure 2: Conceptual Framework for Innovation as a System. This will make innovation management responsible to create an innovation strategy and then coherently align the multidisciplinary and multi-functional corporate capabilities to ensure that new unique solutions can get through the innovation system rapidly (speed), effectively (high acceptance rate in market) and efficiently (lean) through proper automation, optimization, coordination, collaboration, and communication across the organization. The desired outcome from a well-managed innovation system is the development of corporate capabilities that can become a competitive advantage with the diffusion of valuable offerings to the market, that can increase growth of market size, revenue, profit margins, brand value and eventually wealth for corporate employees and shareholders in the form of remuneration and market capitalization respectively. The continuous design, improvement (automation and optimization), and implementation of a complex integrated innovation system will require an industrial and systems engineering approach, which focuses on the integration of interdisciplinary capabilities, processes, and tools. (adapted definition from IISE and INCOSE). This system engineering approach very much also applies to the design and development of the Innovation Management Theory Evolutions Map. With this approach, the premise is that no single innovation management theory will encompass all knowledge to implement an innovation system (as many companies or corporations currently do), but it will require a multidisciplinary integration of many academic theories that can be applied towards innovation management. Many theories were scouted, researched, and selected for the Innovation Management Theory Evolution Map. The level of competition already started to change significantly in the late 1990s with the rise of hyper-competitive global industries, turbulent and dynamic markets, a fast-changing world, demanding shareholders and customers (see Table 3). 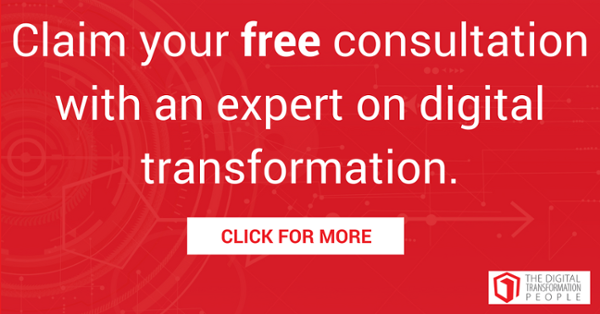 Having a great product was not good enough anymore, but to deliver custom individualized offerings via convenient channels with fast and responsive customer engagements became the norm. Therefore, innovation management researchers had to make a quite significant shift in their research to look at theories that can deliver on these new requirements for a consumer demand-economy. Most predominant research for innovation ecosystems comes from Prof Ron Adner (Adner, 2017) (Adner and Kapoor, 2016) (Adner, 2014) (Adner and Kapoor, 2010) (Spruijt, 2015) (Xu et al., 2007), and open innovation from Prof Henry Chesbrough (Chesbrough, 2017) (Chesbrough et al., 2015) (West et al., 2014) (Chesbrough, 2006). Because of the close relationship of these theories, therefore naming this paradigm open innovation ecosystems. The ecosystem concept was adopted from ecology, which is the study of interactions and relationships among living organisms and with the elements within their environment (habitat). Within nature, an ecosystem (ecology and system) is the specific demarcated and self-maintained organized unit where energy flows in a balanced and sustainable manner. A corporate ecosystem will then be a demarcated self-maintained business unit that focuses on the many interactions between the corporate capabilities (knowledge, skills and resources) to generate a competitive advantage, brand recognition, wealth and growth as a result. Figure 3 provides a conceptual framework of various innovation ecosystems that may exist, each with its own scope, range and focus. Four levels of innovation ecosystems were identified with a sample of relevant theories. Figure 3: Conceptual Innovation Ecosystem with Related Theories. Note #4: The Innovation Management Theory Evolution Map’s scope will be limited to the Corporate and Industry Ecosystems. Business Model Innovation (Dr Alexander Osterwalder). Business model innovation plays an important supporting role for open innovation ecosystems and therefore has been studied as well (Chesbrough et al., 2015) (Chesbrough, 2010) (Adner and Kapoor, 2010) (Adner and Zemsky, 2003) (Christensen et al., 2016a) (Johnson et al., 2008). With these theories, researchers are now looking at how corporations should network, co-create, co-develop and collaboration with startups to build new capabilities and offerings as a competitive advantage. Most significant is the rise of digital transformation (which includes big data, cloud computing, artificial intelligence, Internet of Things, robotics, additive manufacturing) within industry (Geissbauer et al., 2016) (Jaruzelski et al., 2016) which strongly influenced many innovation management researchers to look at digital platforms. Prof Geoffrey Parker (Dartmouth) and Prof Marshall Van Alstyne (Boston) took the lead to look at digital platforms (Parker et al., 2017) (Van Alstyne et al., 2016) (Parker et al., 2016). The digital platform theory is an extension of the open innovation ecosystem paradigm with the addition of digital platforms and digital ecosystems, therefore the naming of this paradigm as open digital innovation platform ecosystems. Leading researchers on open innovation and innovation ecosystems are also looking at the integration of digital transformation with their theories (Adner, 2016) (Adner et al., 2015) (Rangan and Adner, 2001) (Porter and Heppelmann, 2015). Even industry consulting firms are already supporting this, DigitalAhead (digital-ahead.de) is a company that completely focuses its attention to digital platforms business model innovation. Although there are many studies on match-making and transactional platforms, the next frontier is to advance research to digital innovation platforms as in the case with Amazon Web Services, Microsoft Azure, IBM Watson, etc. Figure 4 is a conceptual representation how a digital innovation platform framework may look like (Bouwer, 2016). 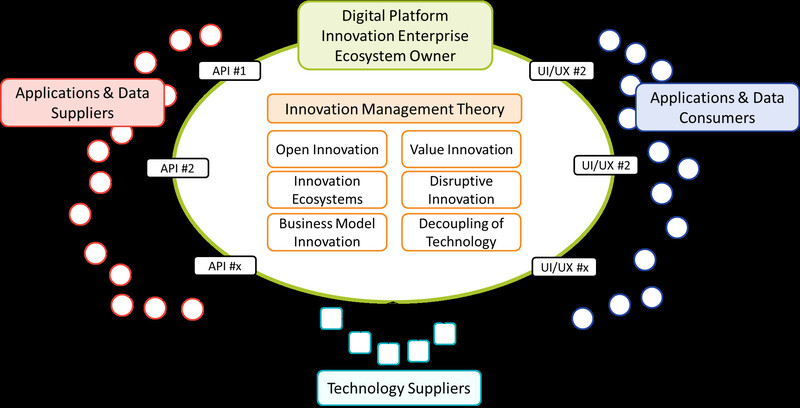 Figure 4: Conceptual Digital Innovation Platform Framework. It is important to know if innovation management theory catalogue databases currently exist to curate, connect, integrate, and analyze innovation management theories from a central repository. In 2016 Jan Spruijt (founder at Innovative Dutch – Simulation Games), Machiel Wetselaar and David van Dinther created a most interesting and comprehensive list of innovation methodologies for a course they were developing. They gathered 71 different methodologies for implementing innovation in an organization (Spruijt, 2016). The International Association of Innovation Professionals (IAOIP) defined a body of knowledge for innovation management as a framework for their certification program to develop professionals in the science of innovation (see www.iaoip.org). The intention of this article is not to focus on methodologies or tools, but on academic theories to provide academics and industry with a simple means to understand the fast-evolving landscape. 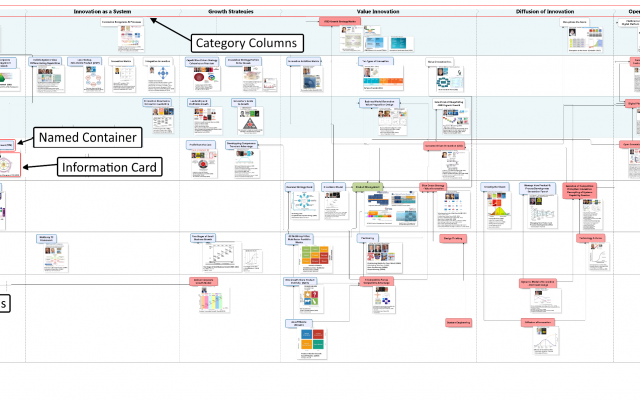 Note #5: The Innovation Management Theory Evolution Map consists currently of 52 theories. 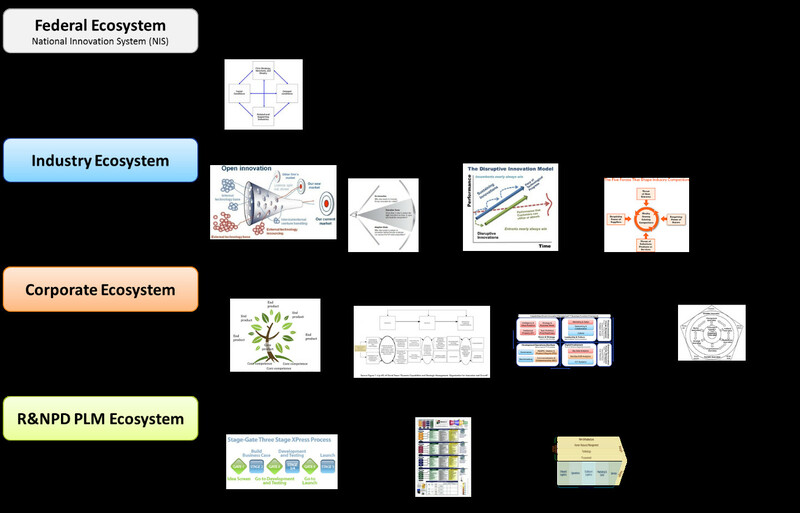 The goal was to use a Systems Engineering approach to build a system of theories that can be used to manage innovation within a corporate ecosystem. Therefore, the selection criterion for theory selection was not based on the usual quantitative value (or classic taxonomy) from publication reference (or citing) indexes, but rather on a proposed qualitative potential a theory has for industry. Click on the area you want enlarged, the web browser will zoom into that area. The Flowchart Model was designed with Bizagi Modeler, see www.bizagi.com. Name Containers: defining primary theories from specific researcher(s). Information Card: includes names, dates, images, and publications within an image. Category Classification: spaced by vertical Columns. Time Stamp: first publication year of theory, spaced by horizontal Channels. Contribution Classification: defined by Color codes. Contextual Connectors: supported by Lines and Arrows. Figure 5: Innovation Management Theory Evolution Map. Each theory name container specifies the predominant theory that was initiated from a specific researcher (or group of researchers). Some researchers developed several theories that are applicable to innovation management; therefore some named containers will have more than one theory specified within the container. In some instances, a theory will also have generic names (being used in industry) which will be proceeded with a hyphen. Primary researcher’s name, and in brackets the post-grad university he/she was and current affiliation with either a university or company. A biographic image of the specific researcher(s). Images of books that have been published, related to the specific theory. List of related publications with the publication year, ordered in descending order. Competencies and Capabilities: These were the most dominant theories that were used with the development of the “Capabilities-Driven Innovation Management Framework” (Bouwer, 2015). Innovation as a System: These theories support the concept that innovation should function and be managed as a system. Growth Strategy: These theories integrate systems and value innovation theories, which demonstrate the much-needed coherent alignment between strategy and capabilities required to execute an innovation system successfully. Value Innovation: These theories help corporations to consistently deliver products or services of value with very little direct competition in the market, which then becomes a competitive advantage when the necessary capabilities are developed to deliver to consumers or consumer respectively. Diffusion of Innovation: The theories look at industry dynamics when a new technology is introduced into the market. These theories can help to predict the risks and probability of success. Open Digital Innovation Platform Ecosystems: These theories look specifically at identifying demarcated innovation ecosystems, inside-and-outside the corporation, and how it can be leveraged to create a competitive advantage. To investigate how specific theories evolved over the years, a vertical timeline was added (on left side of graph) to identify any evolutionary development, interactions, or relationships among the innovation management theories. The time channels took the form of horizontal histograms that started with decade intervals from 1950, then with 5 year intervals from 2010 (similar concept to logarithmic scale paper) to support the explosion of innovation management theories in greater visible granularity. The time channels define when a specific theory was first published. In many cases a specific researcher already published many other articles, but a theory container and data card will only be placed within the year interval channel when it was first published. A good example will be the publication of Dr Alexander Osterwalder’s first book “Business Model Generation” in 2009. Even though he already completed his PhD thesis in 2004, his theory was placed in the time channel for years 2005 to 2009. Red – Primary Contribution: These innovation management theories were considered as unique points of knowledge creation for the subject matter. Most of these researchers also covered a wide range of topics for innovation management theory development from their publications. Blue – Secondary Contribution: These are considered as extension theories, supporting theories classified as red with more specific application. White – Supporting Contribution: This category is not specific for new scientific theory contributions, but to acknowledge other researchers who contribute further knowledge on the application and further clarification of existing theories. This class of theories is the outer visual (to industry) layer of skin for the parabolic “body of theory” analogy. The contextual arrow connectors connecting various theories are not in any way a backward or forward publication citation system, but only represent logical relationship connections among these theories. Note #6: Tables 3 and 4 with the references are available in the PDF document, which has been posted on LinkedIn and ResearchGate. What’s IoT’s real impact on business today? What’s the one simple, basic, OMG yes rule to remember about work e-mails?